Evolution of the classic loafer with OluKai DNA: leather wrapped outsole, rubber traction pods, Drop-In Heel, and all-new comfort insole. UPPER Plush nubuck leather with waxy nubuck overlays. Moisture- wicking and microfiber lining. FOOTBED EquilFit, dual-density PU. Durable chassis provides stability and arch support. Softer top deck offers extra cushioning for step in comfort. OUTSOLE Non-marking rubber with leather foxing. Features traction pods with kapa inspired tread design. 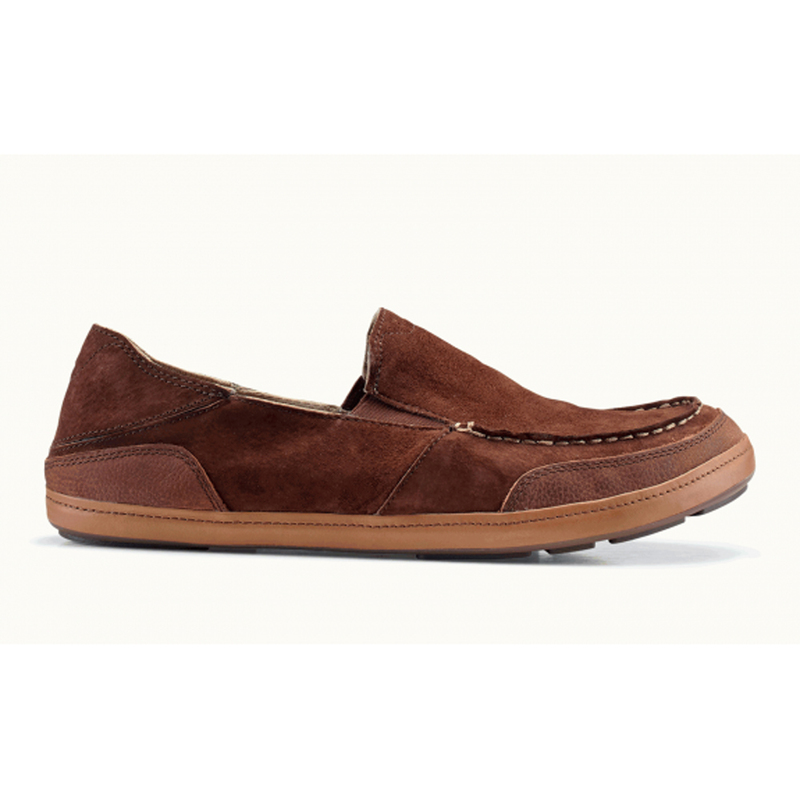 FEATURES Versatile Drop-In Heel for shoe or slide functionality, hand sewn moccasin toe.